Any Australian manufacturer with aspirations as a global supplier needs to carefully analyse its business. It’s not enough to have the best product if it is not supported at multiple levels of the enterprise, where every part of the operation performs a key role for a predictable outcome. How does a manufacturer, once considered too small to be regarded as a competitor by larger businesses become the only major cutting tool manufacturer in Australia, competing globally with the world’s best? The pursuit of excellence has paid off for Sutton Tools, a multi-award winning Australian manufacturing icon that now exports 50% of its Australian manufactured products globally and is the preferred brand for the IPH Group, France’s largest distributor of industrial tools. The company also supplies Rolls Royce in Romania, Triumph motorcycles in Thailand, Moog Aerospace in the Philippines and Foxconn in China. Sutton Tools is typical of successful Australian companies that understand the challenges faced when market demand or conditions change, or when opportunities are presented and decisive action is needed. The business is a textbook case for study by any manufacturing business that wants to stay ahead of the competition, while developing a global market. 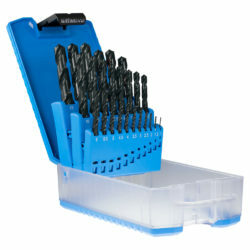 Embedded in Sutton Tools’ DNA is the philosophy of a totally integrated approach that ensures customer satisfaction. Adoption of latest technologies, recognition of the value of experienced, highly skilled employees, nimble, yet well-informed decision making as well as welcoming and meeting competitors’ challenges has been its success formula. Continuing its founder’s approach one hundred years ago, the company chases every technological advantage its management can find. It recognises the importance of constant improvement, self-examination and never failing to ensure customer satisfaction. On top of this is a solid commitment to the importance of building ethical relationships with all its stakeholders – critical in building global strategic partnerships. Finding solutions for common machining productivity challenges is typical of Sutton Tools’ strategy. Just one example of its innovative approach is its ‘Harmony’ range of endmills that recognises the key to successful milling is to minimise or eliminate the vibration produced in the cutting action. This build-up of harmonics in the work piece can be detrimental to the tool’s life. Often this vibration has been rectified by slowing down the cutting speed and feeds, altering the size of the cut and/or increasing the rigidity of the set-up. 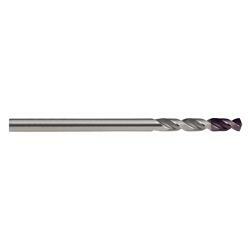 Through a combination of tool design, micro geometry, material and coating, the Harmony endmill overcomes vibration without the need to sacrifice productivity. Sutton Tools also operates a special tools division that provides a valuable express service on non-standard taps and other cutting tools. State-of-art CNC tool grinding equipment and manufacturing processes are used to manufacture specialised tools that exclusively use the very best European grades of materials such as powder metallurgy, HSS cobalt and ultra-fine grain carbide. The company’s own (and Australia’s first) PVD coating facility extends tool life by applying the latest generation of thin film PVD coatings increasing hardness, abrasion resistance and impact strength. Robert Sutton said customer service plays a critical role in cementing customer satisfaction by building confidence in product availability. “Customers know they can rely on our order processing thanks to our automatic delivery and order confirmation and rapid response backorder reporting. The needs of customers across different industries varies enormously. To enable us to provide the best service, we have designed and implemented adaptive and seamless ordering systems that allow us to efficiently receive, process and fulfil in the minimum time. Despite having more than 20,000 SKUs, the company consistently averages 98 percent stock availability. Every day a computerised despatch system manages in excess of 1,000 daily consignments and are despatched within the same day of order received. This transcript was previously published in Australian Manufacturing Technology Feb-Mar’18 Magazine.